As Social Media becomes more sophisticated, focused on business needs, will businesses still need a website? Just this month, Facebook announced a plugin for websites that is integrated with their messenger (currently in beta testing.) 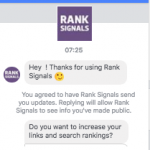 This plugin allows customers and clients to talk directly with businesses on respective websites while using messenger instead of other chat options. Social channels have been playing with integrations targeted at businesses for some time now. 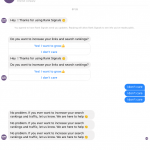 For example: you’ve probably noticed some simple ‘away’ messages and chat bots on various Facebook business pages. 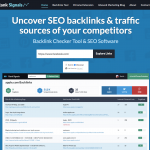 This allows for businesses to respond to customer inquiries when they’re not online. And Google has even gone as far as offering the ability to create your own business website right in ‘Google My Business’. With all of this capability (including access to massive networks of people across social platforms in the billions) it begs the question of whether businesses still need a website. Clients often ask me if they should just focus on social media as they grow their business and ignore their website. I hesitate to answer because I know that websites can be expensive (time + cost) and social media could be a more economical solution. With that said, the cost to get started with a website on your own can be as little as $300 CAD (hosting, domain, template site, WordPress set up.) I don’t want to minimize the steep learning curve when it comes to setting up hosting, uploading a template to WordPress and customizing pages. But it’s certainly something to think about if you’re concerned with budget. On the other hand, you could also hire a developer but expect basic sites to start around the $3000 for quality work. In full transparency I was in the same boat as many small business owners — champagne tastes but beer pockets when it came to websites. So I took on web development myself. I set up hosting, bought my domains and a template site and then got going on WordPress. Even with my background in web, websites are time consuming. First, you must stay on top of updates and second, on top of content changes. I definitely value having my own site where I’m in control, but if I had the budget to get someone else involved I probably would have! 83% — Yes. Businesses will always need websites. 8.5% — No. As things progress the need for website narrows. In the ‘yes’ camp, the overwhelming response was geared toward the idea that building your estate (content, community etc.) on rented ground (social channels) was dangerous. Businesses Have No Control Over The Algorithms. Most business pages continue to see a dramatic decline in organic reach. Sure, there are some who are experiencing excellent reach and engagement but more often than not this isn’t the case. Lack Of Monetization Options. 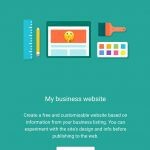 Some businesses depend on the ability to monetize their websites and it’s difficult to monetize on platforms where you have no control over rules and regulations. Customer Expectations. Prospective customers are still looking for business legitimacy. Sure, you can verify your page. But even though social media is an excellent way to connect, when prospective customers want to learn more about a business, they typically look for the website. Don’t Put All Your Eggs In One Basket. A key component of any successful marketing communications plan is integration — when you’re online, you should have a mix between search engine optimization and social media optimization; paid, earned and owned. Free For The Taking. Sure. Social Media is free. Relatively easy to set up and get going on. But that doesn’t mean it’s really free at all. Businesses are learning that it’s ‘pay-to-play’ on many networks and they can make changes or shut things down on a whim if they want to. There was a general theme from those who voiced the opinion that websites will become irrelevant: traffic doesn’t visit websites like they used to. Another comment that was put forward was from consultants who would rather spend time nurturing communities within social media, rather than pushing them to websites. Big brands use social media to leverage the audiences but they also have to balance that effort and still be able to move the audience over to owned space. An ironically interesting perspective is that of Sears Canada. 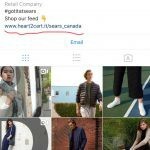 In a few months Sears will be no more, but you may have noticed that in their last attempt to accelerate online behaviour they used ‘Heart 2 Cart’ (now Pixlee) to move people from a rented space to a paid space via the ability to turn Instagram into a storefront. Followers see something they like in the IG feed, click the link in the bio and it takes them to a replicated feed where they click on that same item and go directly to the checkout! Use social media to connect, engage, learn and listen. But be mindful of your efforts. How is using social media supporting your overall business objectives? Make A Plan. Know your objectives for social media (why are you using social? awareness? syndication?) and make sure that you’re tracking. If you don’t have a plan, you have no idea whether you’re achieving anything of relevance in terms of business objectives. The recommendation is that businesses should create their own platform (website) where they can disseminate their own content and build and nurture their own audience (maintaining control of their digital presence.) Businesses should continue to use social media to connect, engage, listen and learn but also endeavour to direct communities back to their owned sites because at any time a social channel could pull the rug out! Social Media + Search Engine Optimization: is there a connection? How Do I Clean Up Search Engine Results For My Business Or Name? Business + Social Media: How Do You Know If It’s Working? Do you have a social media or digital marketing question? Send it over!